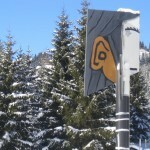 Welcome to Flaine, a resort located in the heart of a stunning natural cirque since the late 1960's. As an ode to nature, this true architectural masterpiece is part of a breathtaking environment and benefits from a unique location. On site, get your fill of sensations. Here, cars are prohibited and every trip is done on skis. Note that thanks to its exceptional exposure, the resort has rich and constant snow coverage throughout the season. Cultural life is also very important here. 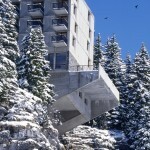 Lively and festive, the resort allows visitors to enjoy "after-ski" moments that are rich in discoveries. The fabulous panoramic view that combines monumental sculptures, including "Boqueteau des 7 arbres" from Dubuffet (9,20m high), Picasso's "Tête de femme" (12m high) and the "Three Hexagons from Vasarely (5,30m high), with a stunning view of the Mont Blanc. Be amazed by the most beautiful view of Mont Blanc in just 12 minutes! With the "Grandes Platières" cable car go from 1600 to 2500m and enjoy the view! 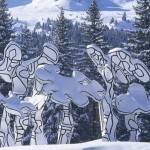 Imagined by Emile Allais, a French ski champion, Flaine' slopes follow the natural contours of the mountain. You can go around the Grand Massif area only by blue slopes! Departing from "les Grandes Platières", the blue slope "les Cascades" is 14km long and lets you enjoy a beautiful landscape on the edge of the Natural Reserve of Sixt-Fer-à-Cheval. Ze Forest, the Devil forest is a mysterious, surprising and magical destination. Go on an adventure to uncover all the secret passages. 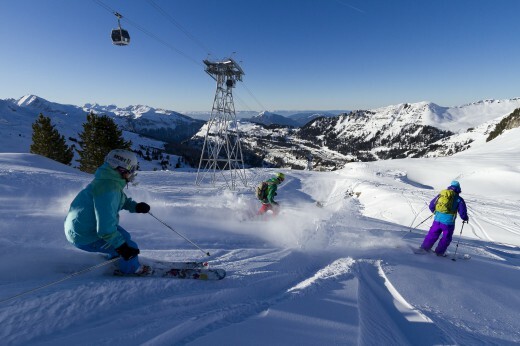 The slope "La Combe de Gers" has a vertical drop of 700m in a pristine snow for an unforgettable, breathtaking moment.